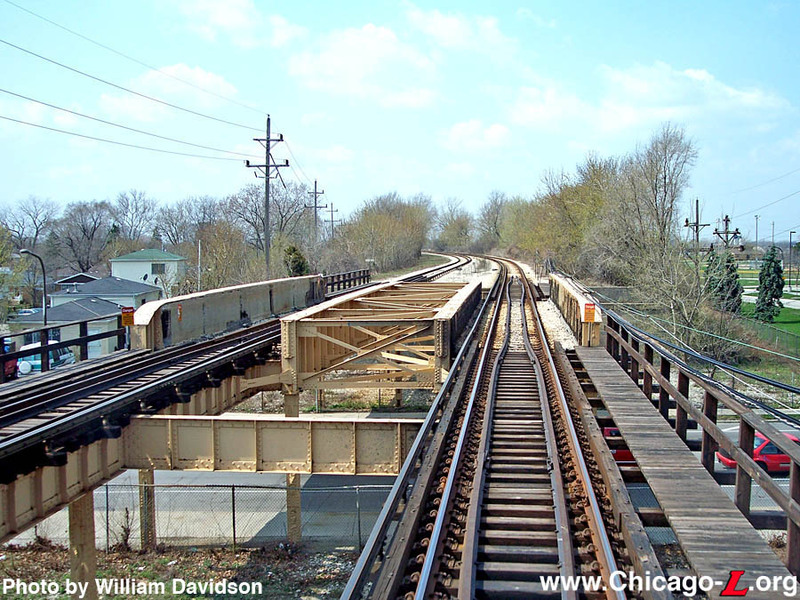 When the Yellow Line first operated as the Niles Center branch of the Chicago Rapid Transit Company (1925-1948), there were a number of stops between the two terminals. 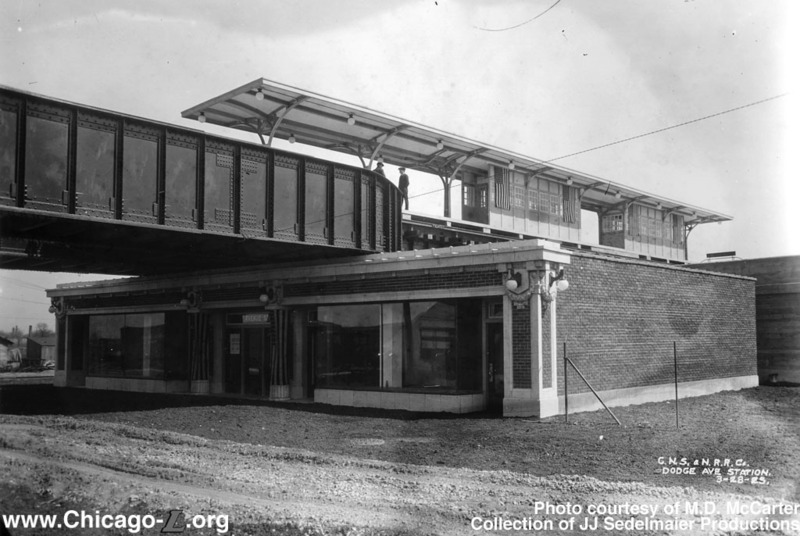 This was one of three stations in Evanston (the others were Ridge and Asbury) on the east-west leg of the Niles Center branch. Dodge station's entrance was located on the east side of the street, below the viaduct. 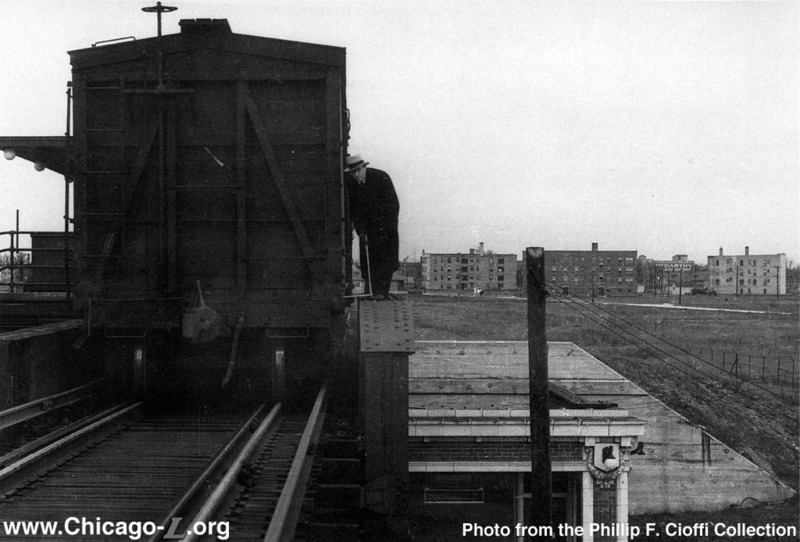 While the tracks above carried trains of both the "L" and the North Shore Line interurban, only "L" trains stopped at the station. 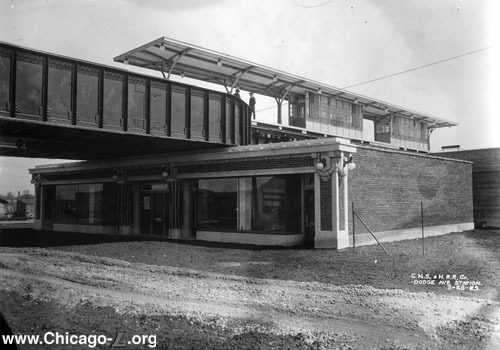 Designed by Arthur U. Gerber, the station house's front and side elevations, visible from the street, were designed in a style familiar to many "L" riders, resembling stations Gerber designed at Sheridan, South Boulevard, and Central among other locations. The building combined elements of Doric and Beaux Arts designs, executed in terra cotta. Trademark Gerber details included the laurel-framed cartouches, pair of Greek Revival Doric columns framing the entrance, globed lights and the words "Rapid Transit" above the front door in Terra Cotta. The interior was executed in smooth art marble with a spacious fare control area. On the street elevation, two retail spaces were provided on either side of the entrance. Inside, these flanked a corridor that led to the fare controls, which were located at the back of the building. The platform was of the island variety between the two tracks. The platform had wood decking and a canopy with metal columns down the center line which split into gently-curving gull wing-shaped roof supports, supporting a wooden canopy roof. The stairs were sheltered by wooden enclosures. 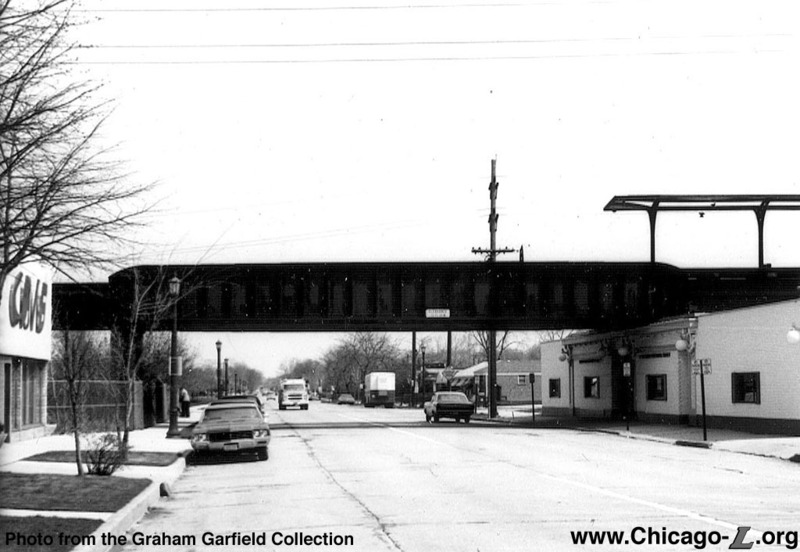 On March 27, 1948, the CTA abandoned service over the Niles Center Line, closing the station and replacing the "L" service with the #97 Skokie bus route. 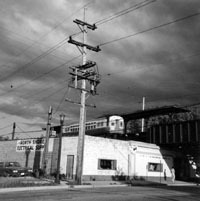 The North Shore Line abandoned their Skokie Valley Route (including the former Niles Center Line "L" tracks) in January 1963, though the Dodge station hadn't been in service since March 1948. 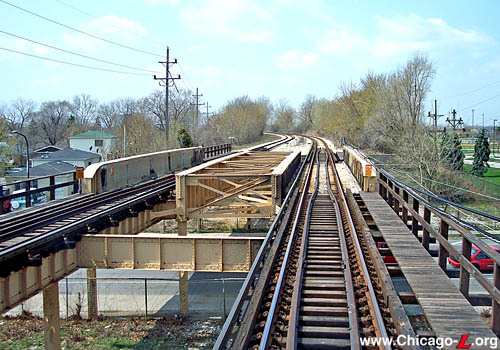 Following the abandonment of the North Shore Line, the CTA began to pursue the reactivation of the tracks as far north as Dempster, the same stretch served by "L" trains between 1925 and 1948. 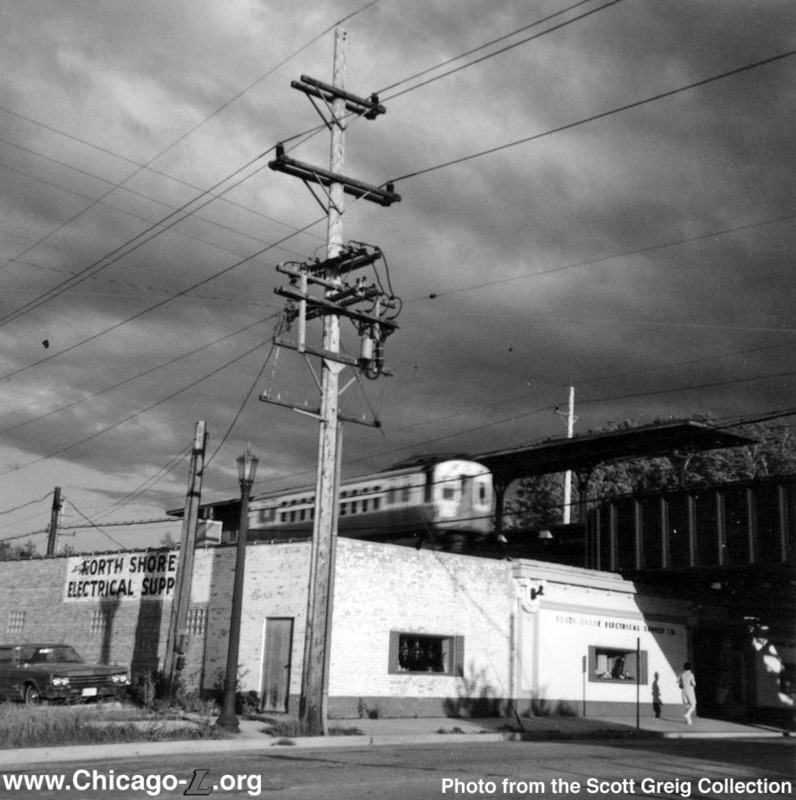 Funded as a "demonstration project" for a duration of two years beginning in April 1964 by the Department of Housing and Urban Development, the reestablished service, coined the Skokie Swift, was a nonstop shuttle between Howard at the Chicago city limits and Dempster in Skokie. All of the intermediate stations were to remain closed and local service would continue to be provided by the #97 Skokie bus. 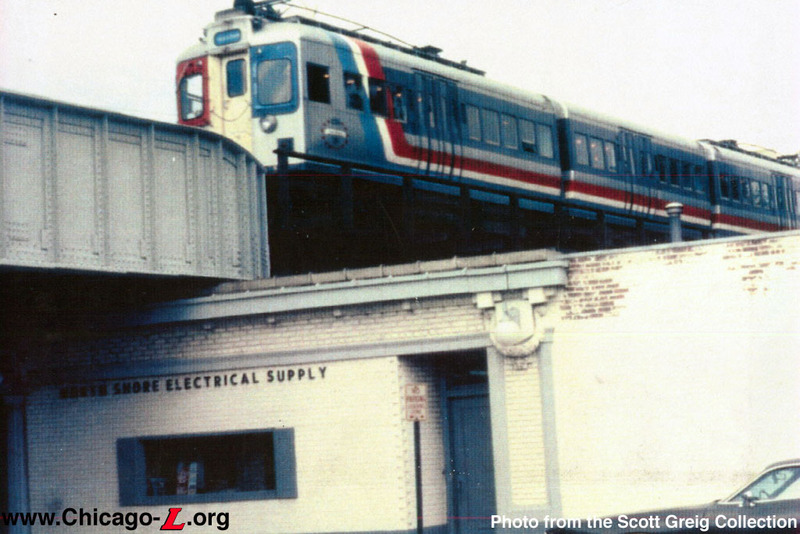 Dodge station's demolition wasn't included in the budget of the Skokie Swift's construction (though Main, Oakton, Kostner and East Prairie were), and the station was used until the mid- to late-1970s, housing an electrical supply store called "North Shore Electrical Supply". For years, the station stood boarded and abandoned in disrepair, the stairway sealed. Circa the late 1980s, the station was completely dismantled and the stairway filled with cement.